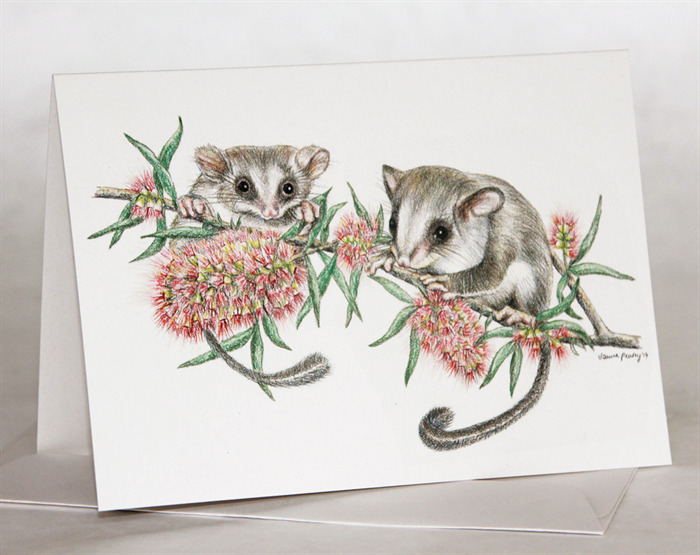 Feathertail Glider wildlife art greeting card. 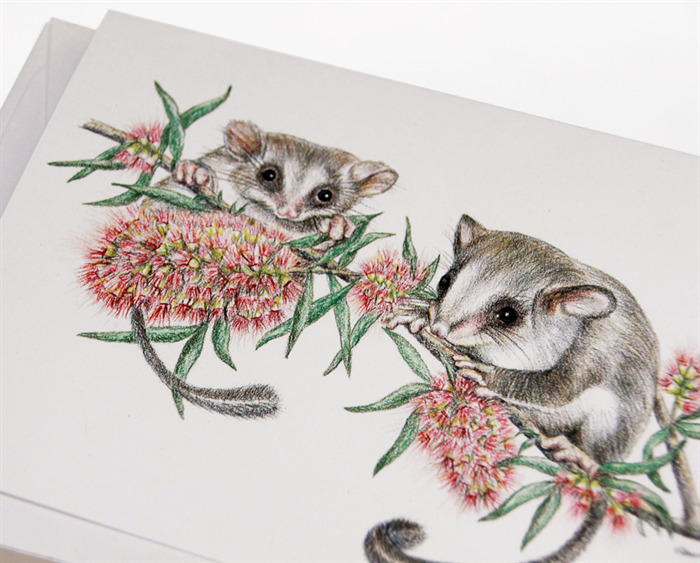 Australian threatened species series. The Feathertail Glider is the smallest gliding marsupial in the world. 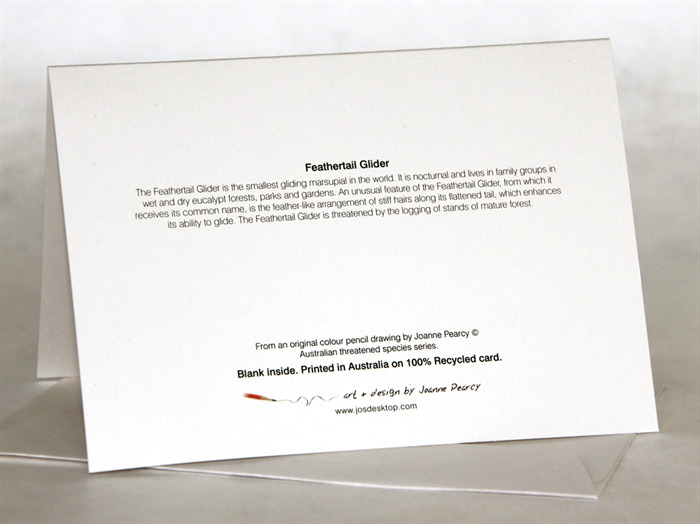 It is nocturnal and lives in family groups in wet and dry eucalypt forests, parks and gardens. An unusual feature of the Feathertail Glider, from which it receives its common name, is the feather-like arrangement of stiff hairs along its flattened tail, which enhances its ability to glide. 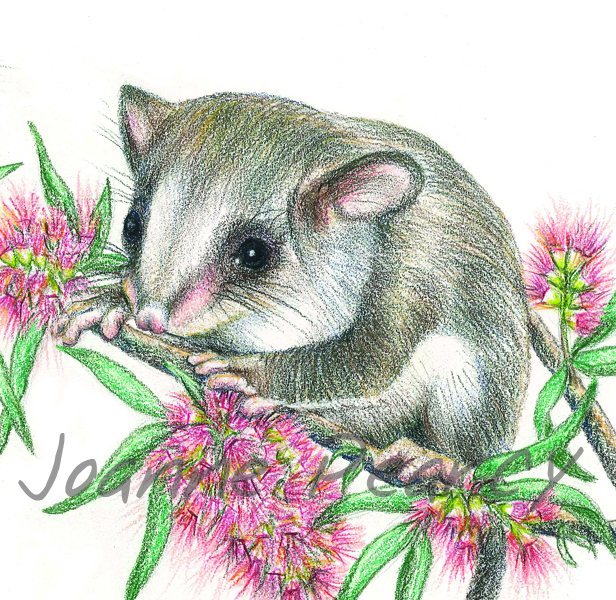 The Feathertail Glider is threatened by the logging of stands of mature forest.